Naomi began studying dance in 1982 with a foundation of jazz and tap; in more recent years she has added modern dance and creative movement to her own training. 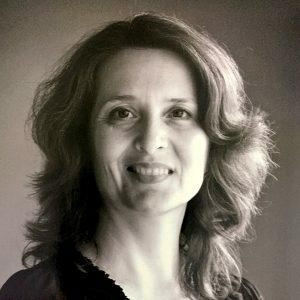 Naomi began teaching in 1988 and teaches all age levels from children to adults, teaching jazz, tap, creative movement, and creative/modern classes. With a passion to see increased creativity, personal expression, and integrity in the arts Naomi has led and performed with dance teams that have a worship, teaching and evangelistic ministry. She continues to work with dance teams developed out of Creator’s Arts Centre to help shape tomorrow’s generation of artist and ambassadors for the Art Centre. She especially likes to work with people from all different backgrounds and walks of life and loves to see those that have always wanted to dance start doing so no matter what their age, and finding freedom in it. Naomi is one of the original founders of Creator’s Dance Centre and was director of Creator’s Arts Centre from 1994 – 2007. She continues to share her creative talent and love of dance through teaching at the Centre.